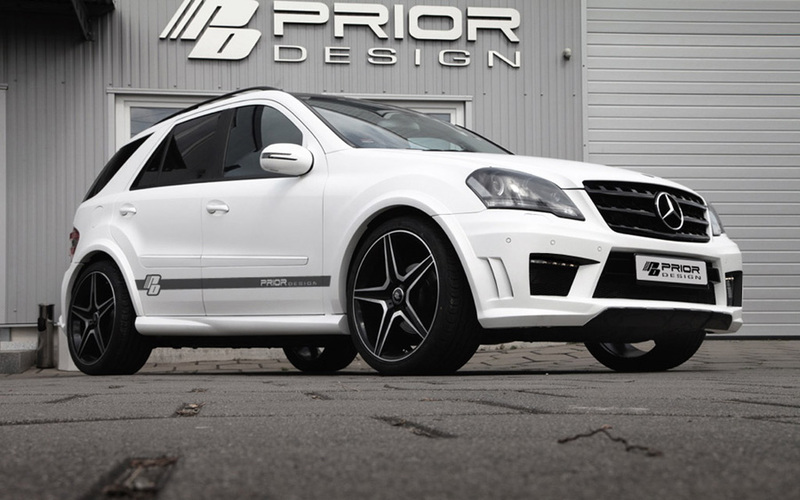 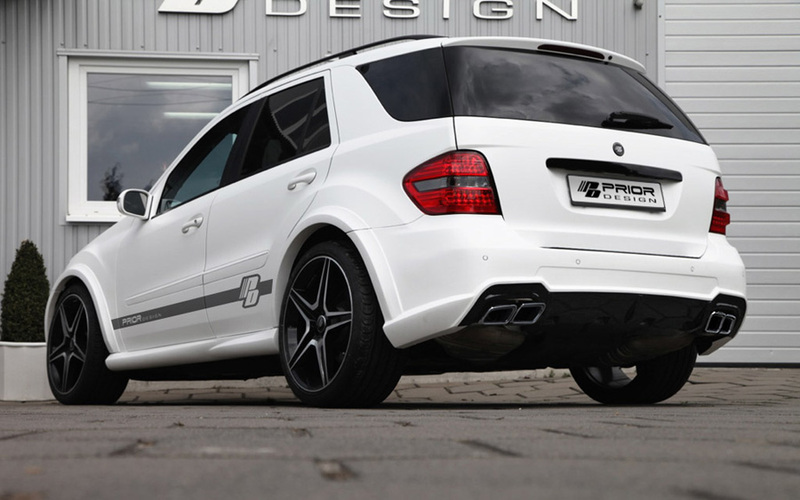 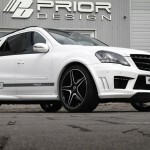 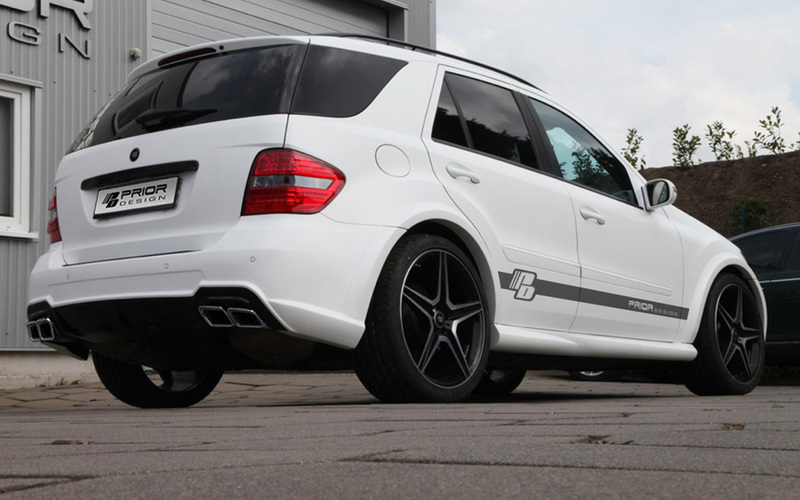 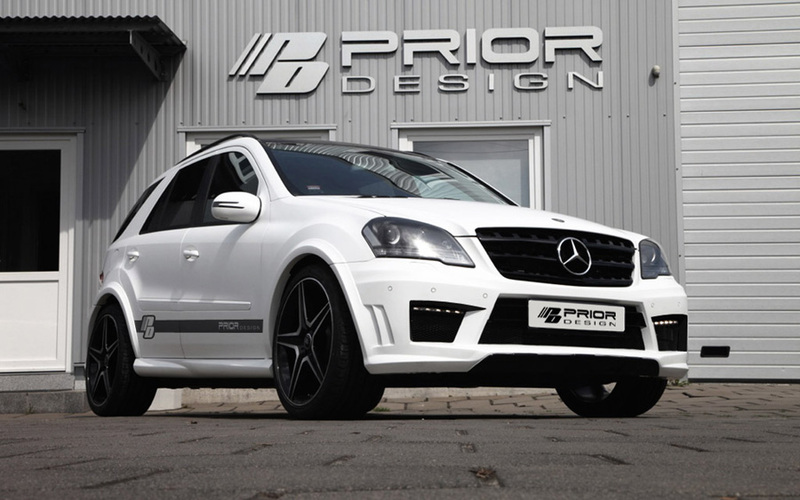 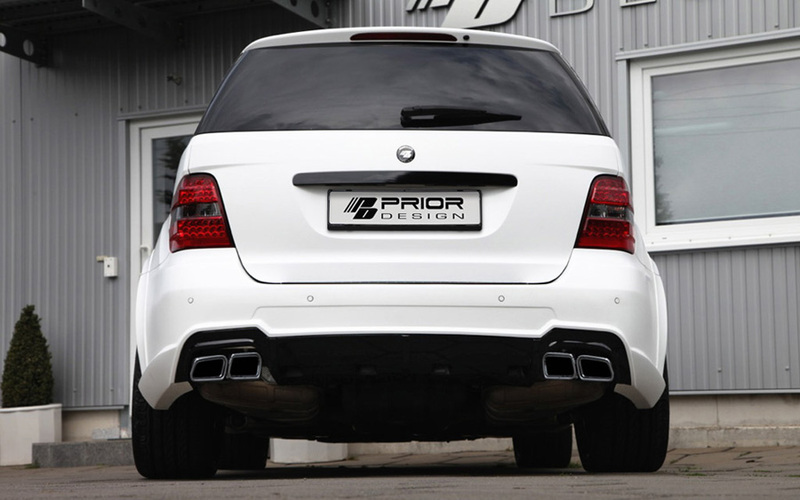 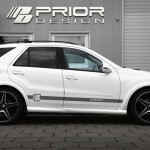 Kamp-Lintfort styling specialist Prior Design has developed a body program for the superannuated Mercedes-Benz M-Class (W164). 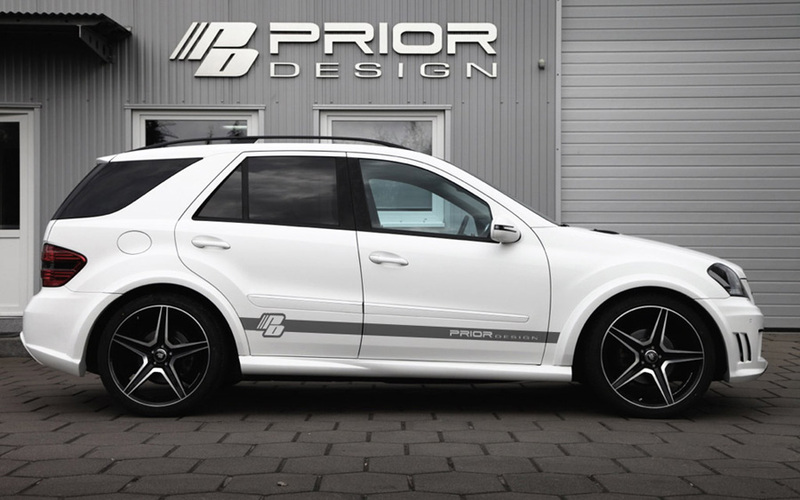 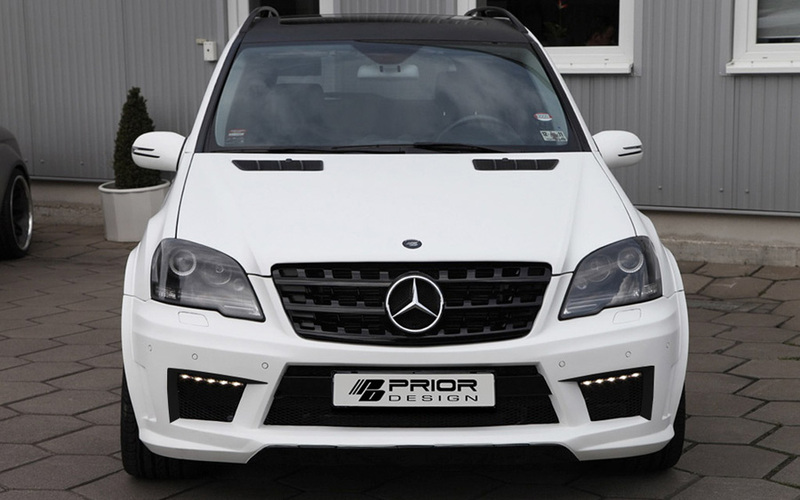 The aerodynamic package, which is constructed from Dura-Flex FRP (Fibre Reinforced Plastic), consists of an AMG-inspired front bumper with integrated spoiler, replacement hood, wheel arch extensions, side skirts and rear bumper. 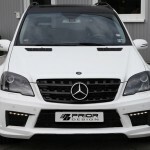 The complete kit weighs in at € 8,995 while the optional LED daytime running lights are an additional € 329.